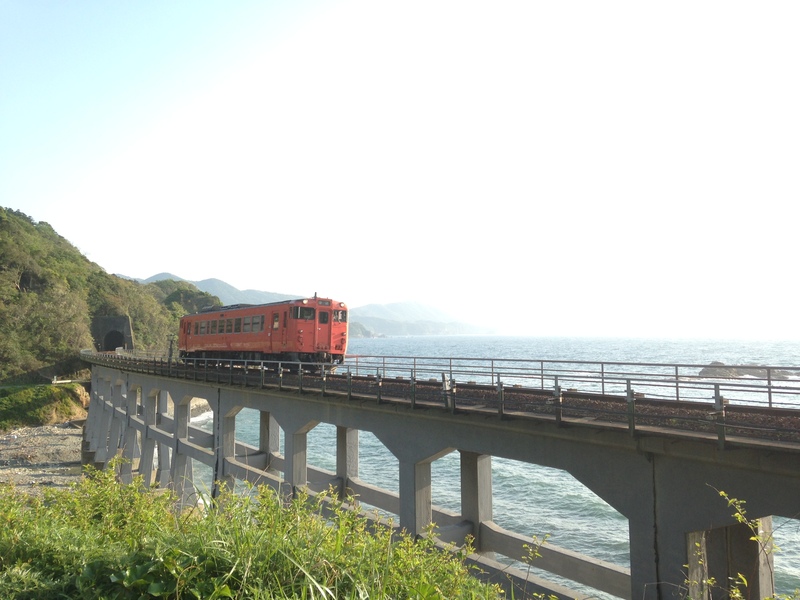 Here is a popular photo spot among railfans that the view of the bridge and Japan Sea is stunning. “Sougougawa bridge” is a little over an hour away from Bettei Otozure by car. 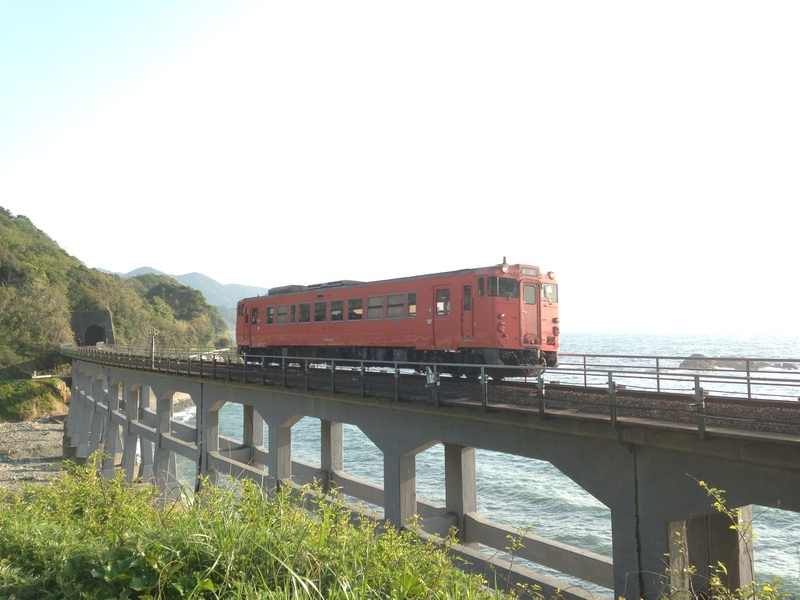 Take route 191, which is called “Kita Nagato Cobalt Line”. 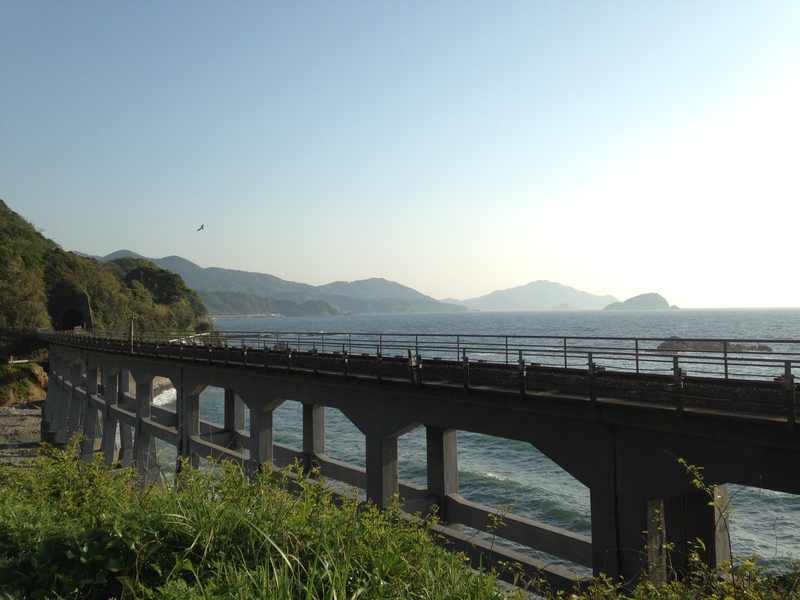 It’s a very nice scenic drive road, mostly running along the beautiful coastline of Japan Sea. If the weather is good, you can enjoy the picturesque scenery of cobalt blue ocean and the small islands. This railway bridge is spanning over the river between Udagou and Susa on JR Sanin Main Line. It’s said that the bridge is absolutely beautiful from any angle, so it’s a well-known location not only for railfans but also for shutterbugs. Although the frequency of train service on the Sanin Main Line is low, you can thoroughly enjoy this amazing bridge without train. In the late afternoon, you will catch the beautiful sunset. It’s a good time now, as the weather is usually sunny.